Instagram is becoming more and more popular. It`s the social network where an ordinary person can become a real celebrity. If you are good in cooking and can take beautiful pics of your dishes, then you can be popular as well as if you go in for sport or bring up a lovely baby. 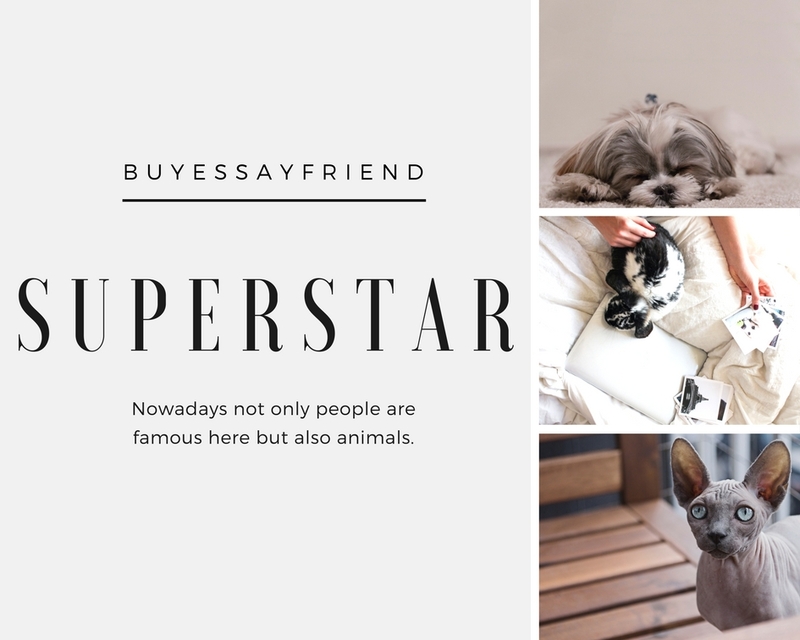 Paying much attention to my personal experience of making my dog famous on Instagram, I recommend you to check out the following 10 useful tips to grow the number your pet`s followers. What is the main aim on Instagram? Yes, to get as many followers as possible. While creating an account for your pet, try to subscribe similar accounts of animals or people who may love this. In addition, you can also check which photos you can take and what are the trends. Will you follow the page with similar photos posted every day? I guess, you understand it`s important to take interesting pics of your pet every time. You can start with getting your animal involved in some social events, holidays. You can take pictures from different angles, using interesting decorations and other stuff. In addition, what you write under the photo values much. Sometimes those words are even more important than the photo. So master your writing skills and make your posts unusual and interesting! Making the number of followers grow is not as easy as it may seem. You can take picture with your smartphone, but you realize that mirrorless and DSLR cameras are much better, so you`d better buy one. If you don`t know how to use it, you can go in for online courses. In addition, you are to study Photoshop. Of course, Instagram filters are good but they easily become boring, so if you want to be o the top, choose the best. Developing Instagram takes much of your precious time as you have to think well on the post you are going to write, the content should be as interesting to make people follow you! You are to attend social events and meetings with your pet to discuss the Instagram. Your pet should be involved in active life as well. In addition, you have to interact with people on Instagram, answer the comments and their questions on Direct. If you want your pet to become a real Instagram star, then you are to seek for PR managers somewhere on the Internet. You should show that you can be a good partner for campaigns. You can also work in the way of charity. If you want your pet to pose the way you like, you`d better train your animal. You can use some tricks, noises, toys to make your pet enjoy the whole process. You can ask someone to entertain your pet while you are shooting. And don`t make your pets take pictures when they are not in a good mood. In this case just play with them or cuddle them till they become happier. Use popular and interesting hashtags to grab attention but don`t overdo with this. You should be also creative here to make your followers interested. Besides Instagram you can also use some other platforms which can bring you no less popularity. Why not to write interesting twits from your dog`s side? Or you can make vines on YouTube. In addition, you can go online with Periscope or Snapchat. You can easily create a new social account for free and try your best. People like when pics show the real life, so try to make the photos of your pet more real. Take shoots when he`s in the park, on the playground doing something natural. This will attract more followers. If you want to people to follow the account of your dog, try to act and think like your pet. Think what can make your pet unique and looking not like others. You will feel yourself like a social media manager of your pet, but this will obviously be entertaining. And remember always to reward your pet with something tasty, some toys, clothes for posing! Hope, these tips will help!